This complicated-sounding hair dryer is really anything but. Listed in the “Luxury Beauty” category as well as being one of Amazon’s top choices, the T3 Featherweight is one blow dryer that claims to be healthier than air drying. Say what? First, let’s take a look at some of the claims and features of this dryer, and we’ll see if it’s possible for it to leave your hair healthier than if you air dried it. T3’s blow dryer technology includes an ion generator, which saturates the hair with negative ions. (Negative ions = good!) This allows the moisture from the hair to stay inside each hair strand by closing down the cuticle and trapping some of it in. When your cuticle lies flat, your hair is shiny, healthy (from the inside), and static-free. So far, so good! If you’ve ever used a blow dryer that felt more like a wind tunnel, you’ll appreciate this one. The fact that this Featherweight dryer puts out a lot of air but with a softer speed is definitely a benefit that likely helps keep hair from drying out due to excessive heat styling. This type of heat is part of the reason the Featherweight Luxe dries your hair so fast—it helps heat the hair from the inside, also improving hair texture and decreasing frizz. This dryer’s combo of ceramic, tourmaline, and far infrared makes it a bit more unique. And if the infrared dries it from the inside while the tourmaline closes down the cuticle, that right there may be why it could leave your hair healthier. By trapping moisture while drying, your hair’s condition actually would improve! The Featherweight Luxe won the Allure Best of Beauty award in 2013 for Best Blow Dryer and Best Beauty Breakthrough. The reviewers cited the Luxe’s powerful, upgraded motor (boosted from the original T3 by 58 times, apparently) that dries hair nearly twice as fast as its predecessor. The quick drying time is mentioned as being a reason the hair doesn’t end up receiving heat damage—basically, it gets it dry before the hair can realize what’s going on. It’s also mentioned that the condition of the hair—its shine and smoothness—will likely last longer after drying than with other blow dryers. All these reasons seem to be pretty valid. So how does it stand up to the test of the general public? Suffice it to say, the overall consensus on the vastness of the interwebs is that the Featherweight Luxe 2i does indeed do what it claims. It’s not unanimous, of course, but what is? Let’s just say the scales are tipped heavily in its favor. That’s right…it comes with a brush! And you can bet that the combo of the dryer and brush produces even better results with a blowout. Besides, who doesn’t love free things? Any Cons of the T3 Featherweight Luxe 2i? We all know what to think when something sounds too good to be true, so let’s just say there is a (relatively small) percentage of naysayers out there. For some, the Luxe seems to make their hair feel weird—perhaps it doesn’t work on a certain hair texture or with some products. Some have also said the dryer doesn’t seem to last as long as it should. 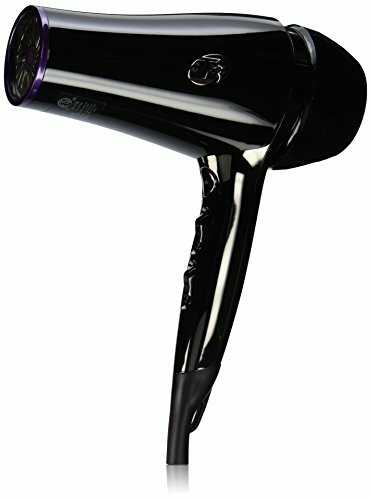 Overall, it seems the T3 Featherweight Luxe 2i hair dryer is a good investment for most. As a company, T3 looks to be constantly working to improve their hair dryers, and this is an upgrade from the already awesome T3 Featherweight 2. And yes, the “Luxe” tag does seem to fit.